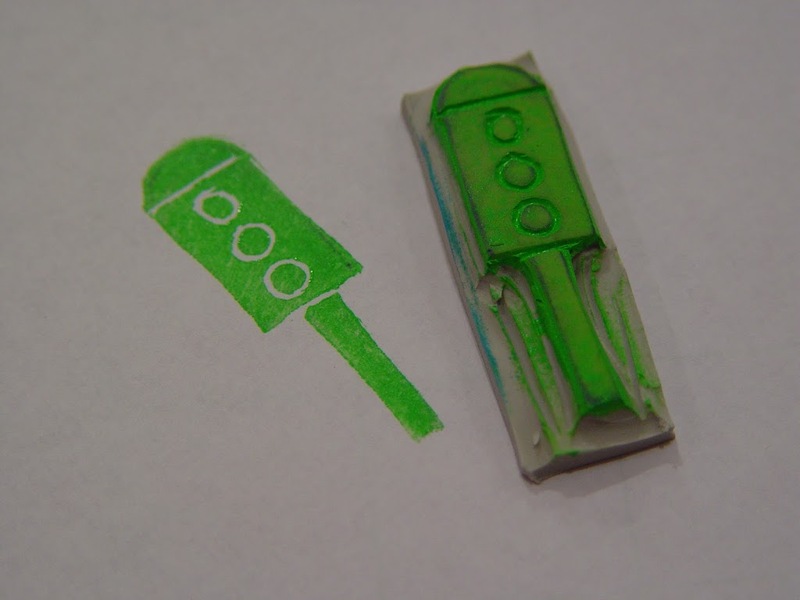 Making your own stamps is very easy and quite fun. 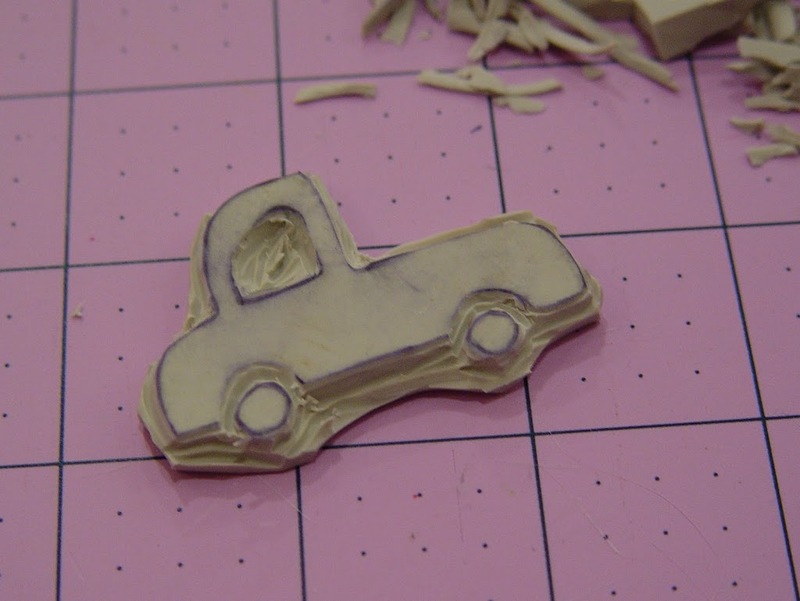 It’s so easy to carve out a beautiful design and get lost in the fun. 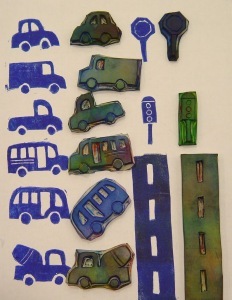 My son loves art and he always loves it when I can make him something he can use to create his own work of art. 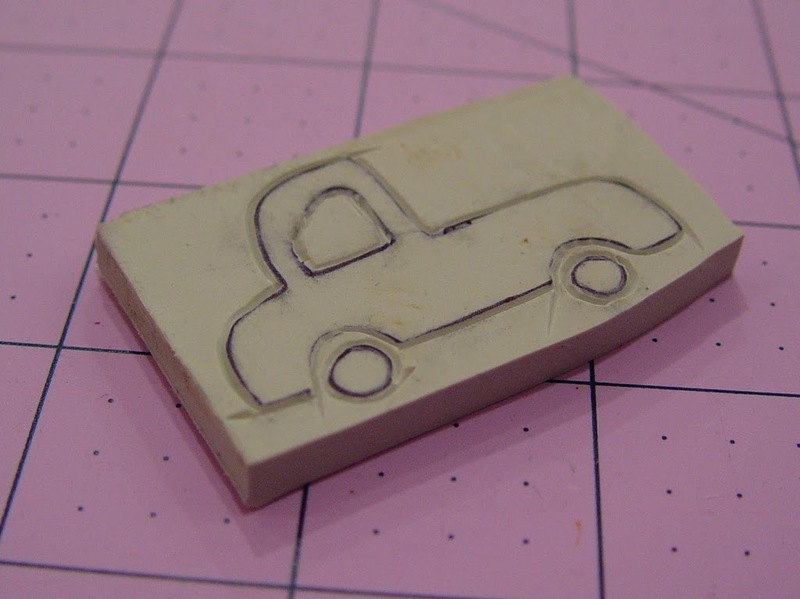 So I thought I’d make him some car and truck stamps. 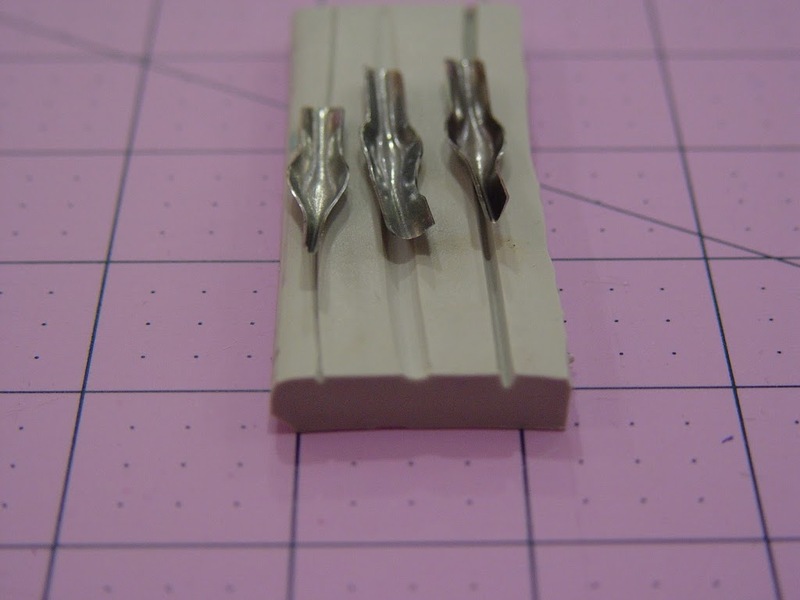 A linolium cutter with different tips (#1,#2, #5) — I got mine from this great starter kit. 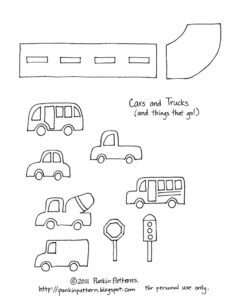 Car Template, which you can download here. 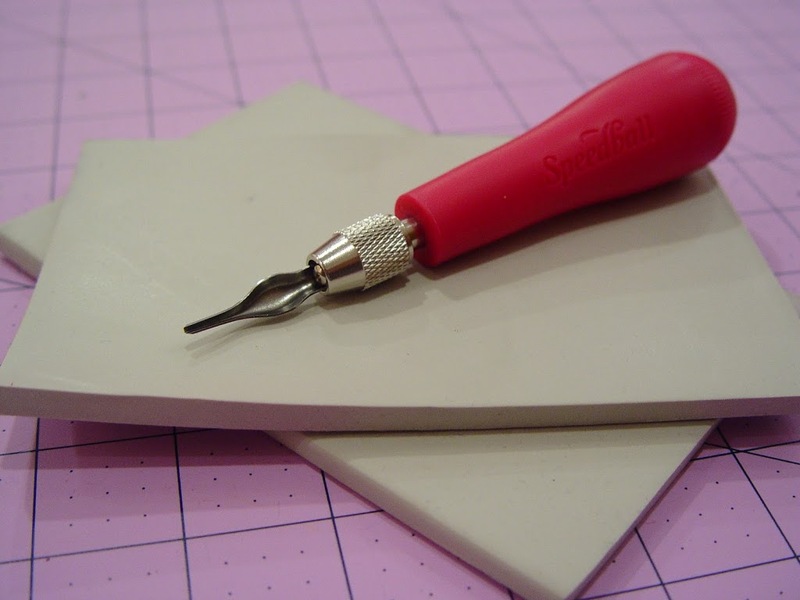 Before we start, let’s take a look at the linoleum carving tips. I have a #1, #2, and #5 tip. 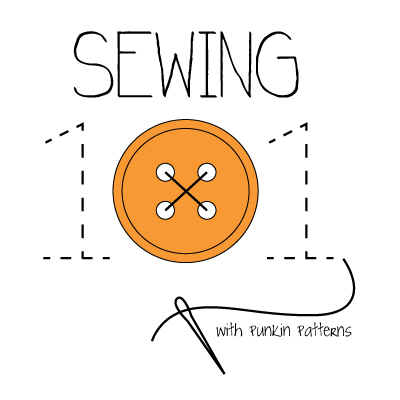 The #1 tip (shown on the right) is used for outlining your image. Tip #5 is in the middle. It yields a wider cut. On the left is tip #2, which gives a deep, but still narrow cut. 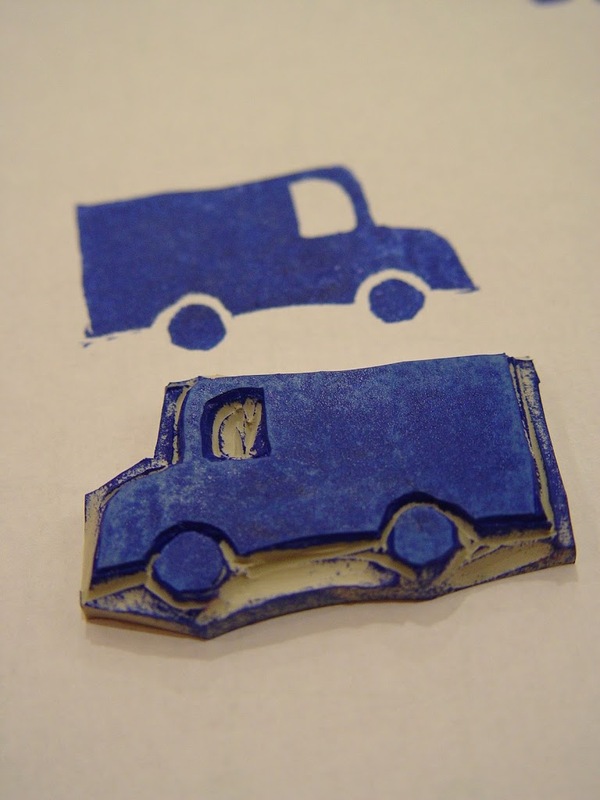 Start by printing out your image that you’ll use to make stamps. 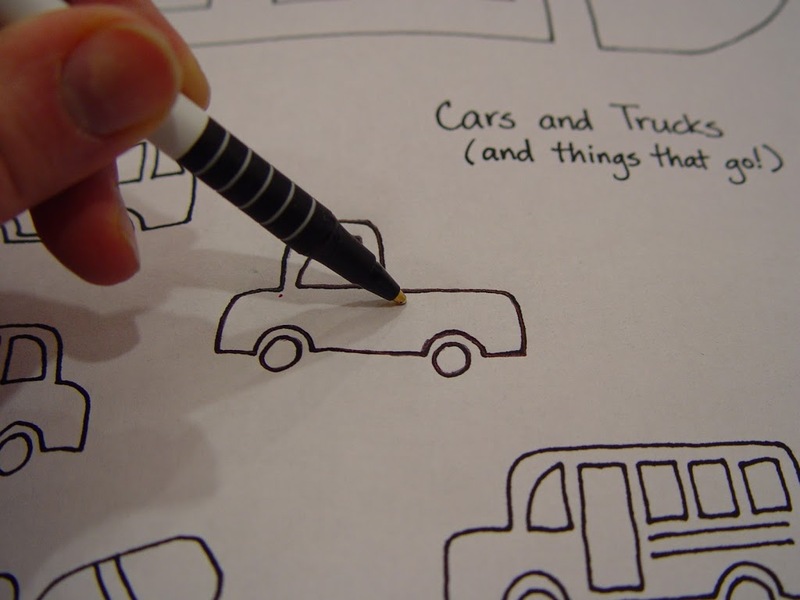 You can use anything or draw something by hand. 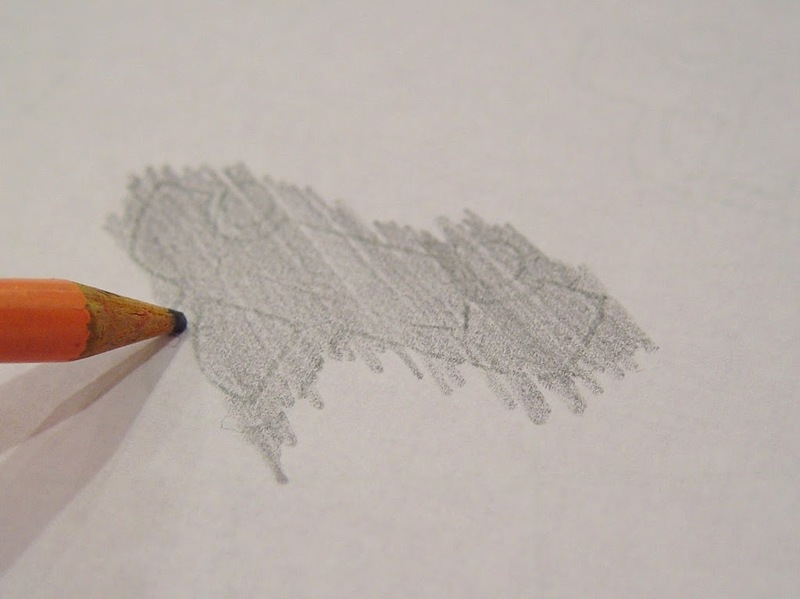 Take a pencil and shade in the back of your image. 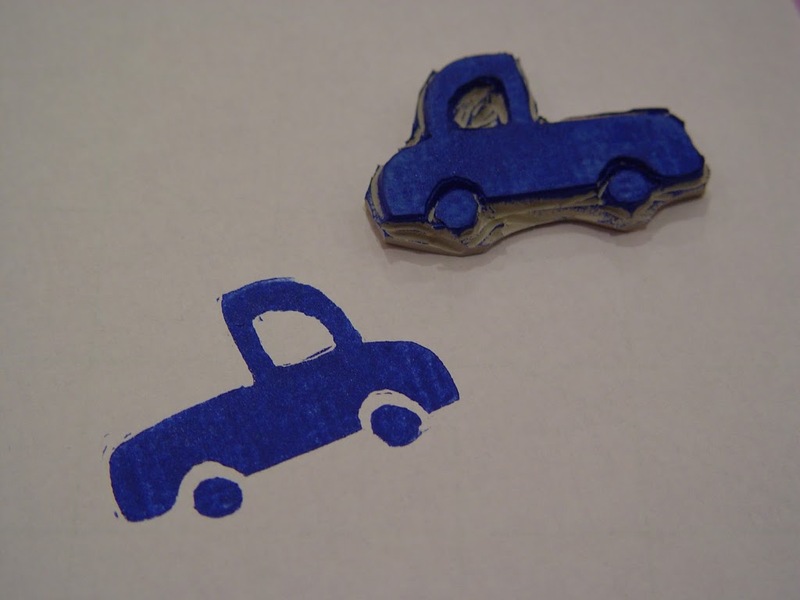 Turn it over and place your image on your carving block and trace the image with a ball point pen. 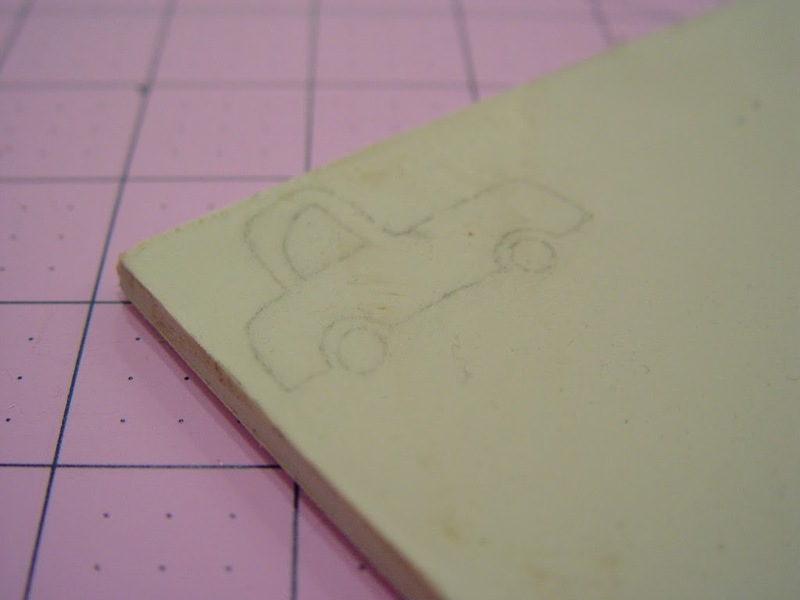 You should end up with your image in light pencil on your carving block. If you like, you can darken your image with a ball point pen. 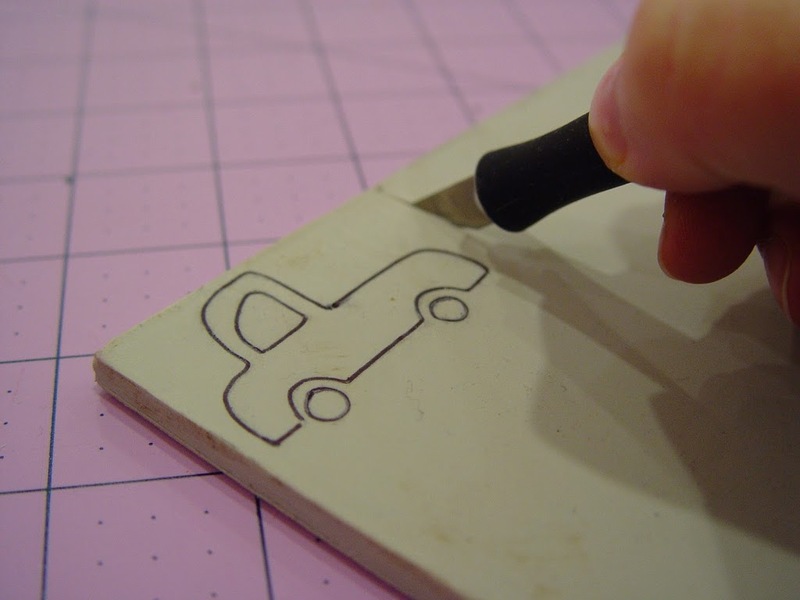 Using an X-Acto knife or utility knife cut out the stamp, to make your work surface a little smaller. 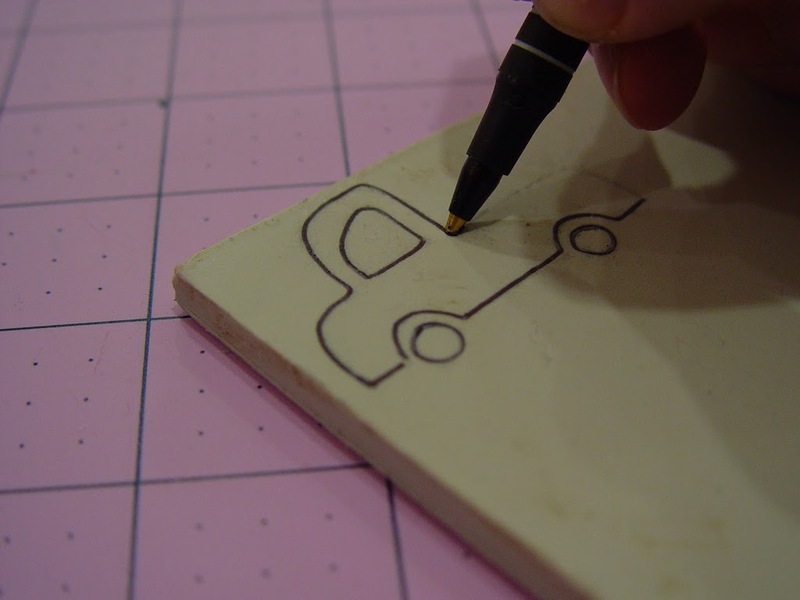 Take your linoleum cutter and using a #1 tip, start to carve away along the outline of your image. Keep going until you’ve outlined the entire image including any details. Switch to a tip that gives a little deeper cut (like a #2 tip) and cut away more around your outline of your image. 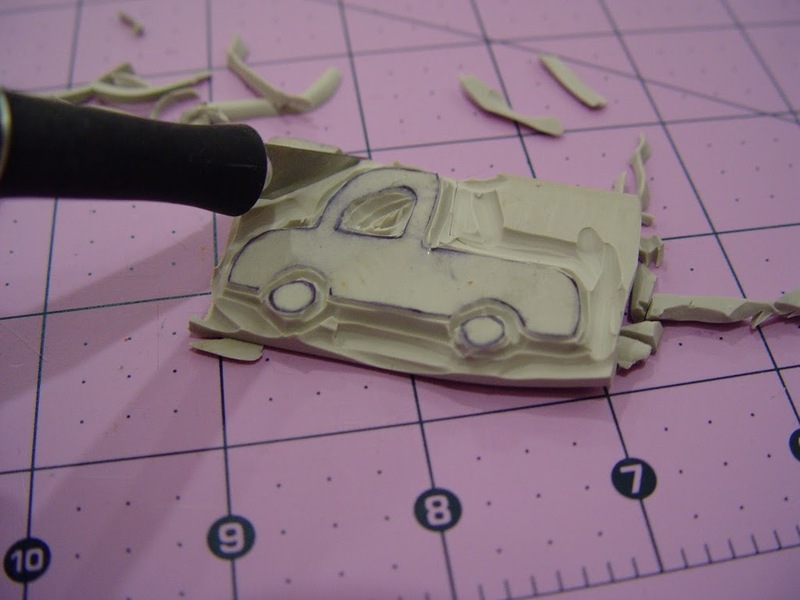 Continue cutting away more with a wider tip (like a #5 tip). 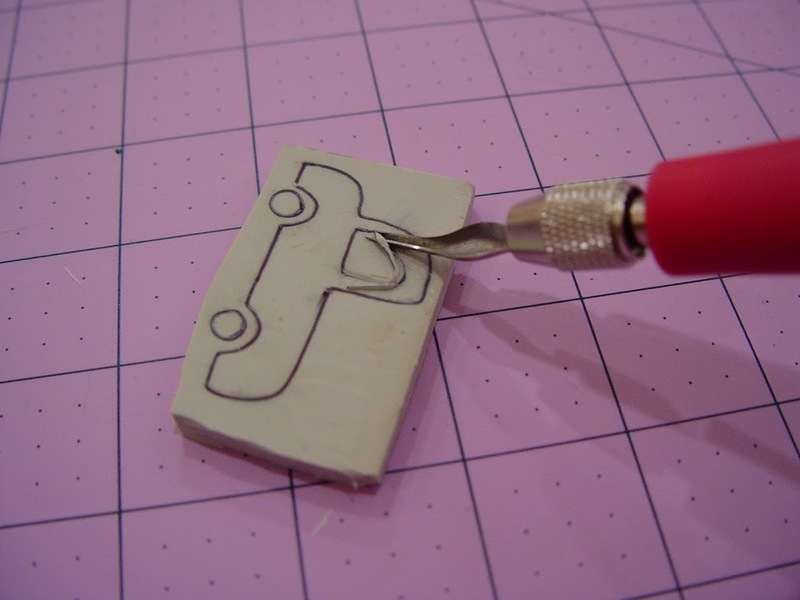 Finally cut away some of the excess block from around your stamp with your X-Acto knife. Continue for your other stamps. 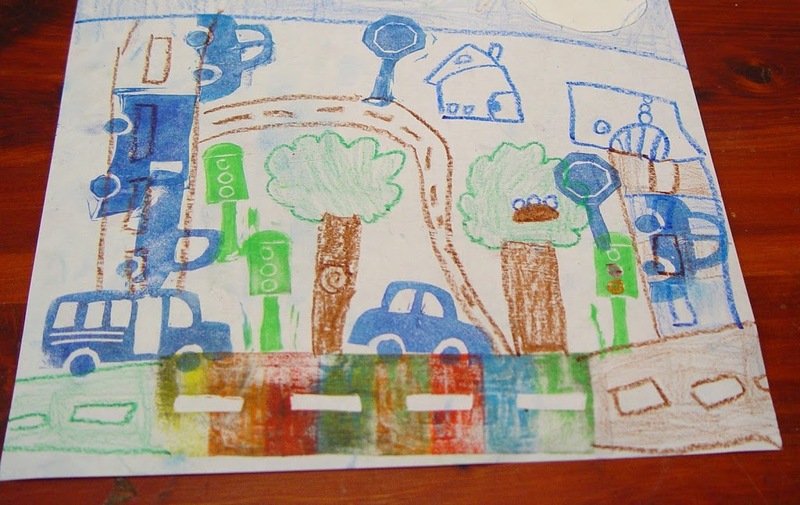 Finally let your little artist have fun. (Make sure your ink pads are washable for your little ones!) Here’s what Connor did! I love it! 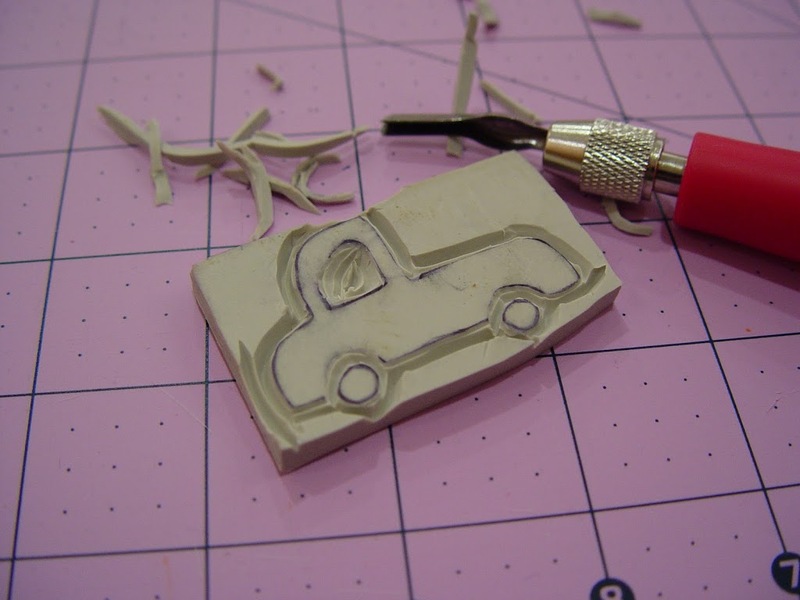 Wow, this is really cool, I would never have thought to use a carving block this way! Thanks for the inspiration. This is a great project and I love the picture your son Conner made with the stamps. 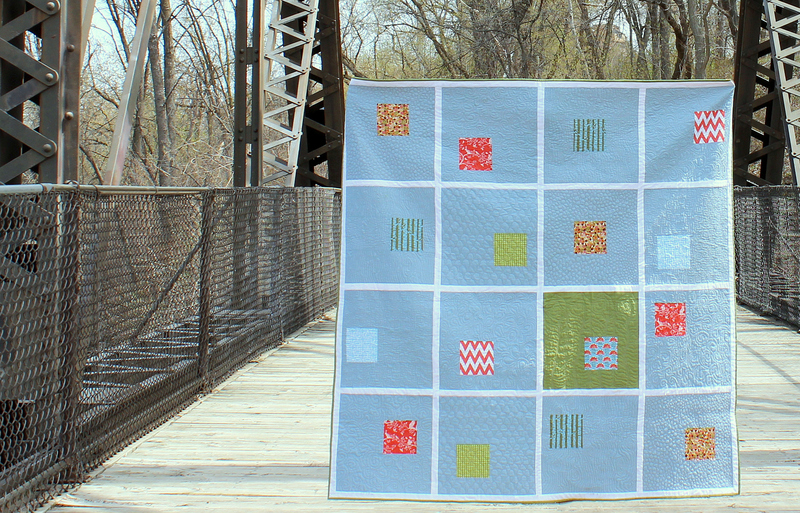 I am hosting a linky party and think this project would be great for it. 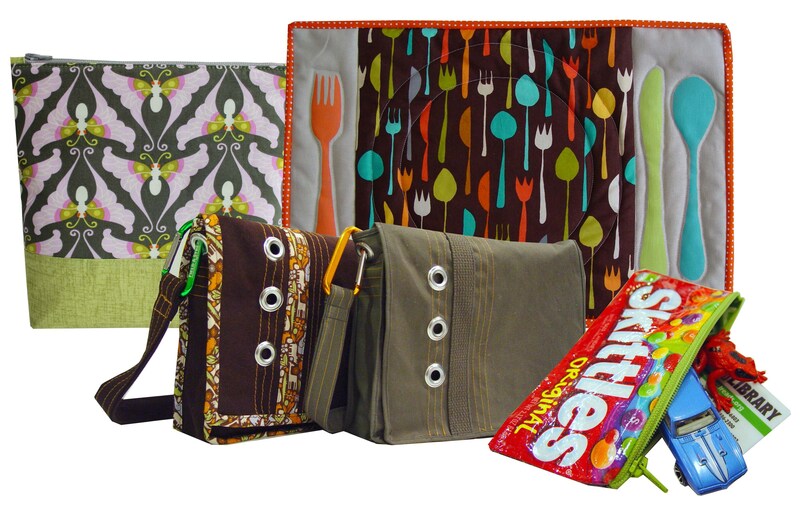 I hope you’ll stop by my blog and link up. Hi! 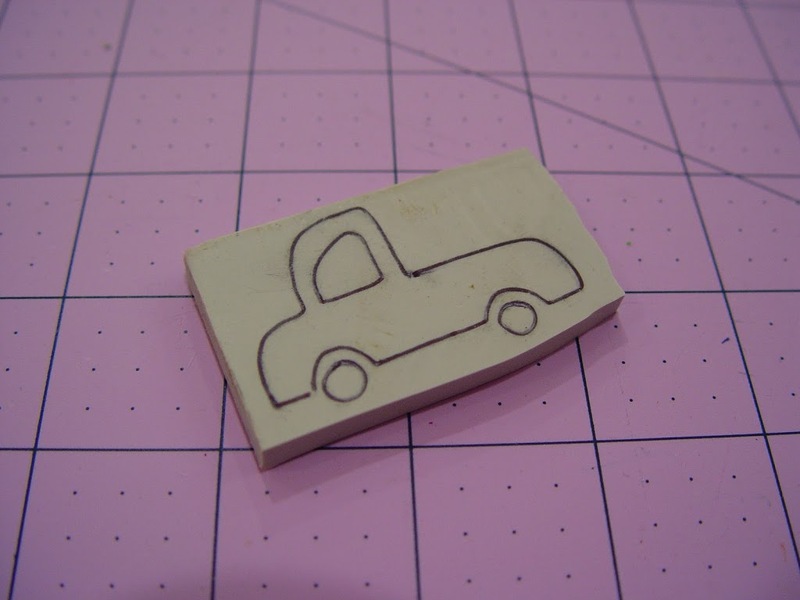 I love your step by step tutorial for stamp carving! 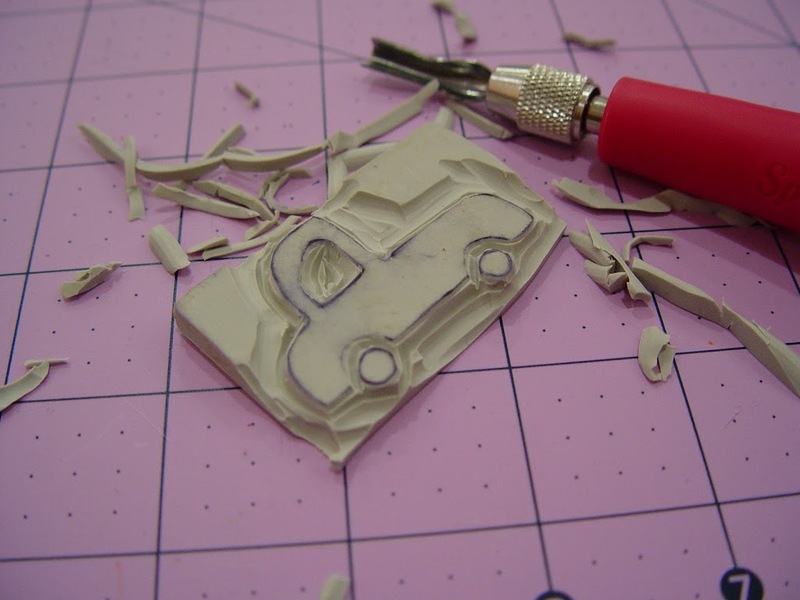 Was wondering though, how do you carve small details particularly small dots when using your speedball linolium cutter?